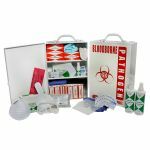 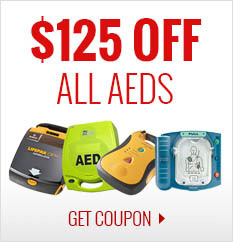 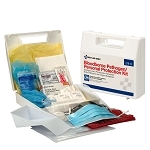 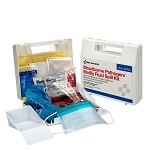 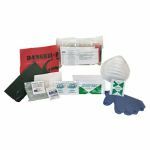 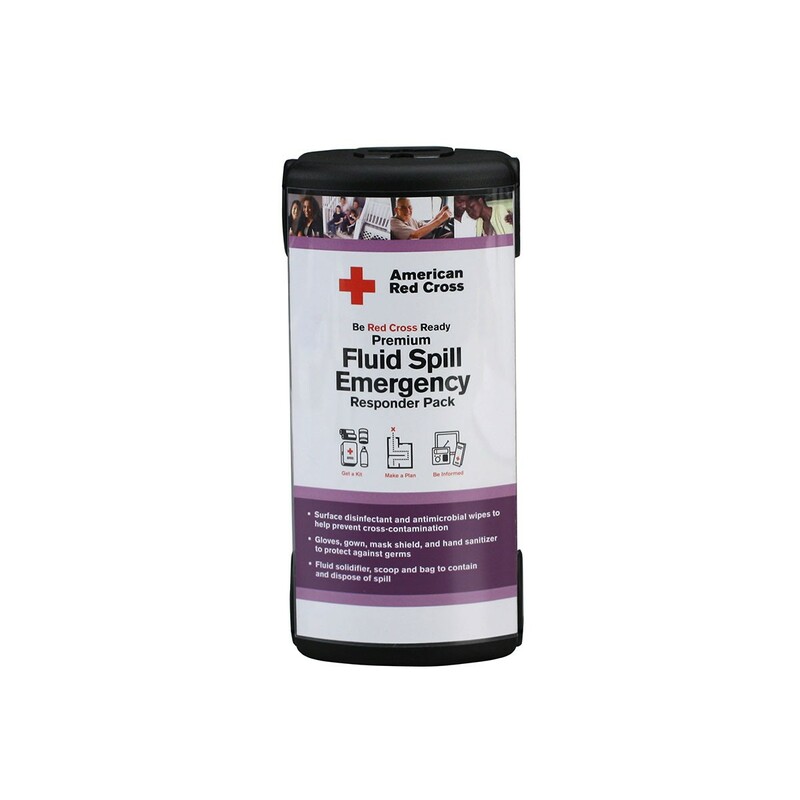 This 13-piece pack contains supplies for cleaning and disinfecting a fluid spill emergency. 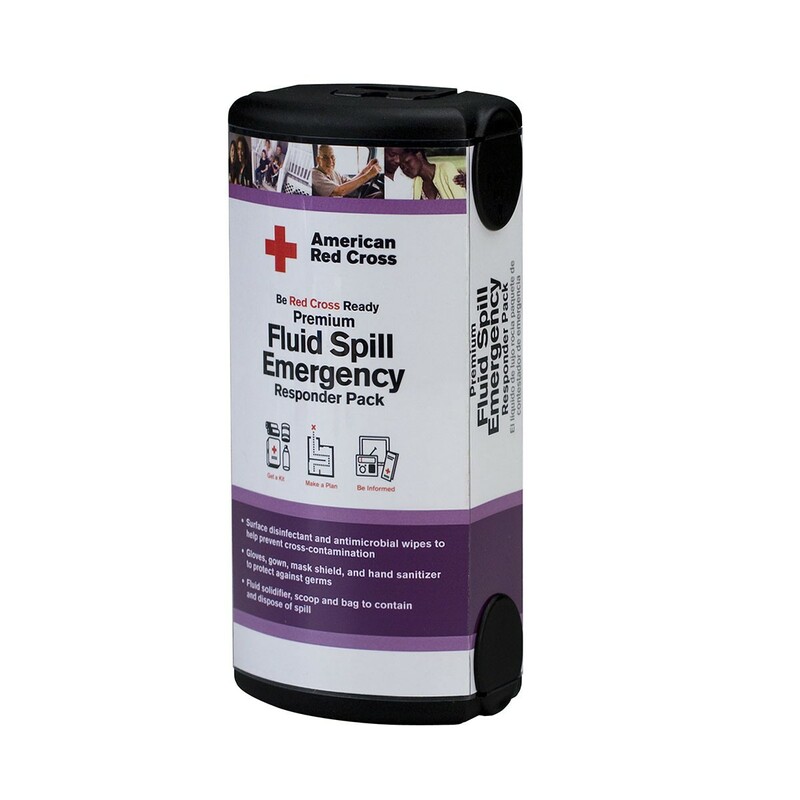 (1) Fluid control solidifier pack, 21 g ea. 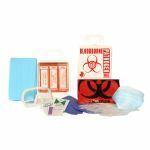 (1) Biohazard bag, 24" x 24" ea. 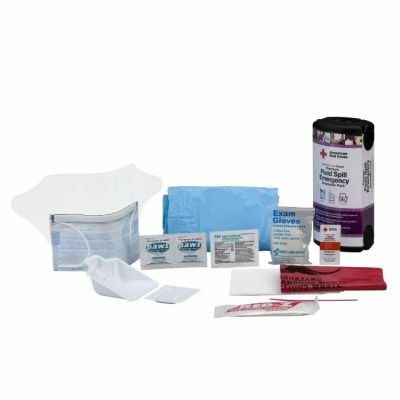 (1) Hand sanitizer pack, 0.9 g ea.